Chery vehicles, exclusively distributed by Motorcity in Bahrain, marked a major milestone by winning the ‘Global Top 10 Best Transmission Cars’ for the Arrizo 6, which will be available in Bahrain soon. The second Global Top 10 Best Transmissions Awarding Ceremony & the Second International Seminar on Transmission Technology Innovation was held in Beijing. Chery ARRIZO 6 which utilises a CVT25 type transmission was unanimously praised for winning the prestigious Asian award. 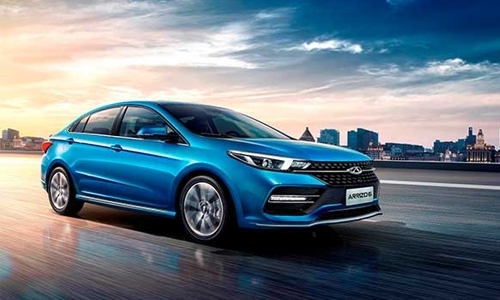 The competition, open to all global brands in the market saw Chery take the lead between mainstream JV car brands such as Volkswagen and General Motors. Commenting on the occasion, Motorcity Chairman Waleed E Kanoo said: “Motorcity is proud to be the local partner of Chery in Bahrain and this award is a win for us as well.